On this date in 1964, Cambodian dissident Preap In was shot in Trapeang Kraleung … an execution so public that every cinema-goer in the country would witness it. This is the Cambodia of Narodom Sihanouk — “a libertine and a francophile, a filmmaker and a painter, a serial husband and father and philanderer, a cherubic but ruthless god-king,” in the words of one obituary when he died late last year. Plucked from the distant branches of the royal family tree and set up on the throne as an 18-year-old French puppet in 1941, Sihanouk cast a long shadow over his country for the balance of his long life. 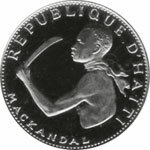 He surprised his colonial overseers by agitating, successfully, for independence, adding to his regal stature the laurels of national patrimony. He would in 1955 abdicate the throne — settling for “Prince Sihanouk” — to operate as a conventional politician. One who was the father of his country and the shadow-king. Needless to say, Sihanouk dominated the ensuing era of Cambodian politics. That politics makes for dizzying reading. At one level, Sihanouk was basically an autocrat with a fairly corrupt developing state. But his statecrafting finesse elevated him far above the bog-standard Cold War dictator. Sihanouk dextrously played the French off against the Americans, East off against West, and shifted the tone of his domestic governance from socialism to Buddhism to nationalism with everything in between. He was a consummate survivor steering a small state on an independent course through the dangers of Cold War ideologies and allegiances. In 1963-64, Sihanouk’s relations with the United States were on the outs. * Although Sihanouk was also a rival of the late Vietnamese ruler Ngo Dinh Diem, he can’t have welcomed that man’s ouster and execution with the blessing of the superpower sitting right next door with so much megatonnage. A natural suspicion, only heightened by known CIA patronage of the Khmer Serei (“Free Khmer”), right-wing but anti-monarchist guerrillas led by a longtime Sihanouk foe named Son Ngoc Thanh. Long story short, Sihanouk as part of his geopolitical machinations had been firing demands at the Americans that they prevail upon their Southeast Asian clientele to put the screws to the Khmer Serei — who used extraterritorial bases to send radio broadcasts into Cambodia. In late 1963, the young engineering student Preap In, who had become a Khmer Serei operative, slipped back into Cambodia with a safe conduct from his uncle In Tam. Though he would later help to overthrow it, In Tam was a powerful political figure in Sihanouk’s state, at this time governor of Takeo. But he was setting up his nephew or else someone else was, and the “safe conduct” proved an utter sham. Sihanouk’s official version: Preap In “spontaneously confessed” to treason. 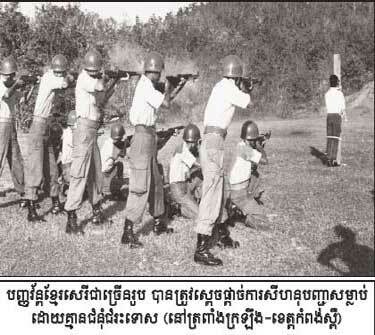 Sihanouk not only advanced the public shooting of the young Khmer Serei, but he ordered it filmed; the graphic 15-minute newsreel was played before feature attractions in cinemas throughout Cambodia for weeks to come, while still shots of the execution were distributed on propaganda posters. Authoritarian Sihanouk may have been, but theatrical bloodletting wasn’t otherwise known as his style. Preap In’s lasciviously rough treatment stood out for its novelty and revolted many Cambodians; David Chandler would remark that this event “frequently surfaced in the 1980s when informants sought to date the beginning of Sihanouk’s decline.” Despite that onetime multimedia exposure, if the video or still images from it are accessible online I have not found them. This still image from a (I believe) Sihanouk-era firing squad execution is the best I’ve got, but as my Khmer is a little rusty, I’m at a loss to identify the unfortunate fellow on the post. * For the view from Washington, see this contemporaneous CIA analysis, a FOIA’ed pdf. 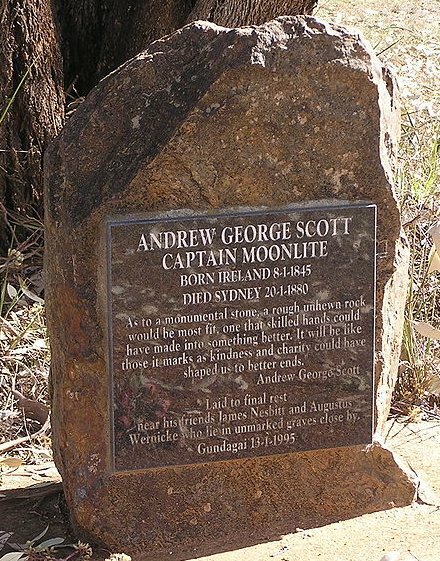 Scott is our main man here, an Anglican lay reader turned grifter turned flat-out outlaw with the nom de plunder “Captain Moonlite”: one of the strangest characters in Australia’s criminal annals. How did a fellow with such a family-friendly alias end up involved in an “outrage”? This colorful, charismatic immigrant (from Ireland, via New Zealand — and, legend has it, with a side trip to Italy to fight with Garibaldi) became a notorious public figure when, in outlandish masked getup, he robbed the bank of the South Victoria gold rush town of Mount Egerton. His distinctive voice — remember, he was a parish reader — was recognized by his erstwhile friend at the other end of the gun, but Scott brazenly reversed the accusation and actually had his victim in the dock for a time. This Mount Egerton crime is the source of the man’s luminescent nickname, after the signature placed on a stickup note. When he got out of prison in 1879 — having defended himself with panache, and escaped once along the way — he had a public profile, and actually got out on the lecture circuit for a brief spell. But he soon returned to the annals of preposterous criminality. Gathering five young followers, Moonlite went full-time into the bush. Allegedly spurned in a bid to join Ned Kelly‘s gang, Moonlite et al sought work at Wantabadgery Station. When this refuge, too, turned them away, the outlaws found themselves in a rather pathetic state of hunger and desperately seized the place by main force. The resulting “outrage” was not a wholesale plunder of the station or wanton abuse of the prisoners (no rapes, no murders … although Moonlite did conduct a kangaroo “trial” of one of his hostages for attempting to escape: the verdict was not guilty): it was the inevitable ensuing shootout with police in which the bushrangers James Nesbitt and Augustus Wernicke died, along with the constable Bowen. 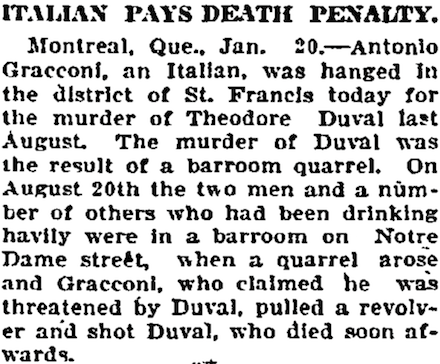 Two of the other three who survived this shootout also survived their brush with the law by blaming Captain Moonlite. The “Captain” may have been plenty eager to accept this fatal inculpation for reasons beyond those of mere honor. 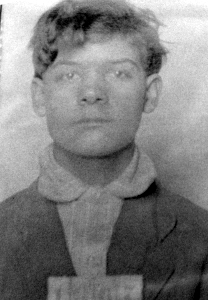 In his prolific prison correspondence awaiting execution, Scott avowed his broken-hearted love for James Nesbitt, one of the two companions who had been killed in the shootout. The terms are astonishingly explicit for the time. 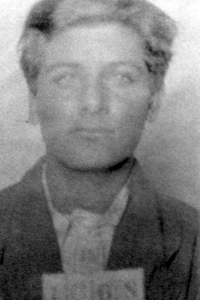 Scott hanged wearing a ring of the late Nesbitt’s hair,* but his wish to share a burial plot was not honored — until Captain Moonlite was exhumed and reburied in 1995. * Asserted in Who’s Who In Gay and Lesbian History from Antiquity to World War II.